As you stock up on fishing gear for the start of a new spring fishing season, there is a good chance you will be shopping for a new fishing rod. There are many factors to consider when purchasing a new rod. One of the most important is action. Action refers to the bend in the rod, and it ranges from slow to extra fast. 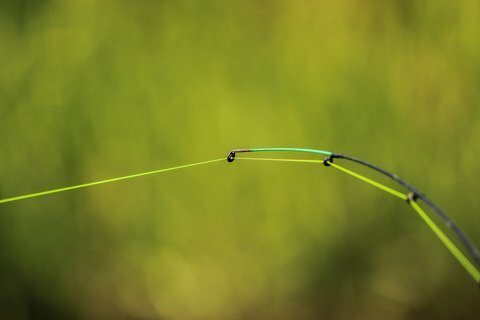 Each has its place in the angling world, but what type of action is right for you? Much of the choice comes down to how you use the rod and what type of fishing you do most often. In examining action, let’s start at the top of the range. Extra fast rods will bend just at the tip of the rod. They are exceptionally good for heavy cover and they are also effective in detecting lite bites. The downside of an extra fast-action rod is that anglers lose casting distance when using them. They are better suited for short to medium casting distances, and they are especially good for flipping baits. Fast-action rods will typically only bend on the upper third of the rod. Fast-action rods provide increased sensitivity, because they have greater flexibility, so if you are going to use the rod for light-biting fish, such as crappies, fast-action is a good choice. Another benefit of the fast-action rod is that they offer a quicker hook set. Anyone fishing with jigs or live bait on a single hook should consider a fast-action rod. As with extra fast action, fast-action rods are not as good for casting long distances. A great all-around rod is the medium-action rod. These rods bend from the midpoint of the rod. They offer a good degree of sensitivity, but are much better for casting distance and accuracy than fast-action rods. They also allow for easy hook setting. If you typically throw small to medium-size lures or jigs, the medium-action rod will work well for you. That brings us to the slow-action rod. Often referred to as a parabolic rod, because it bends throughout its length, the slow-action rod has clear benefits and drawbacks. Because they bend from tip to grip, slow-action rods are exceptional for casting long distances. However, a downside of these rods is that their bend makes it more difficult to fight a fish at long distances. That bend is called softness and it makes slow-action rods very good for fishing lite lines and setting the hook on fish with soft mouths. Conversely, that softness makes it tough to set the hook of fish with tough mouths. These are just the basics of rod action, but it gives you the foundation you will need in making a decision on your next rod purchase. As you search for rods, you will notice that some are a combination of actions, such as medium-fast, which provides a mid-ground between the two levels of action. Finding the action that is right for you requires a close examination of the features that are most important for the types of fishing you do most often.